Goodyear Excellence tyre is aimed at the premium and luxury saloons. It is a brilliant tyre that delivers exceptional performance under varied conditions and excels in handling, comfort and grip. Goodyear Excellence vouches for a smooth ride every time you are behind the wheel and ready to hit the tarmac without worrying about outside weather conditions. It is frequently used as original equipment by several luxury car brands across the globe. Ideal for city use and highway cruising, it ensures a stable ride at high speeds and better cornering capabilities compared to its rivals in the premium segment. The extraordinary handling offered by the tyre enables top notch driving experience each time. Goodyear Excellence tyre retains outstanding wet road performance and ensures shorter braking distance. It has been developed with the infusion of many patented technologies that enable it to deliver consistent performance and uniform wear every time. The silica tread compound and wide circumferential grooves of Goodyear Excellence aids in making swift stops confidently on both dry and wet surfaces. Goodyear Excellence’s asymmetric tread design and solid shoulder blocks deliver fast receptiveness when making turns. 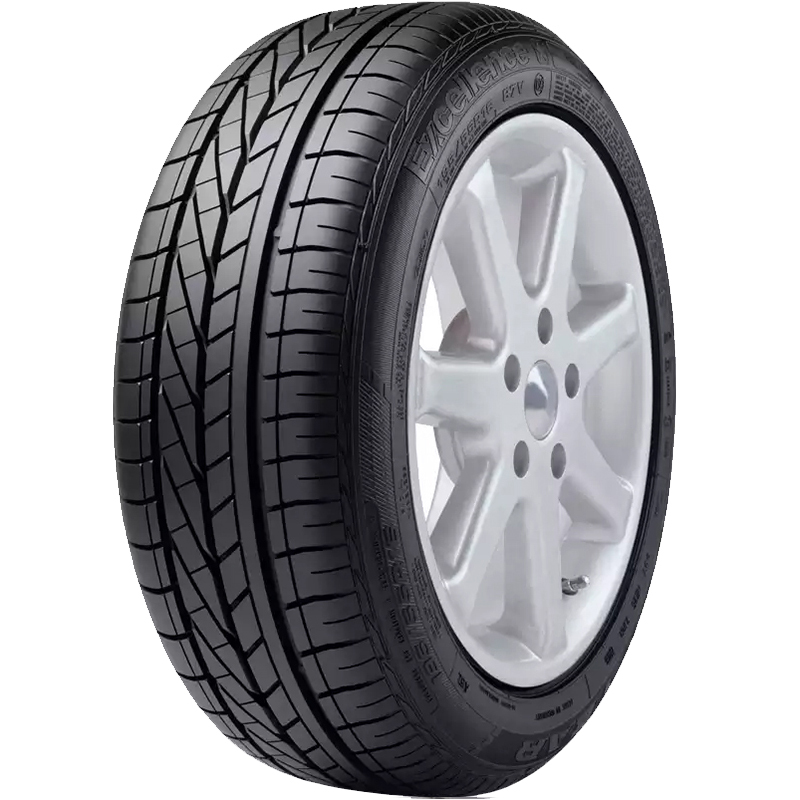 It has been finished with innovative polymers which enhances the grip levels of Goodyear Excellence. The shoulder stabilizers of the Excellence boost the cornering control and dry emergency braking. Goodyear Excellence offers a smooth and silent ride through its Comfort Zone layers wherein a cushion layer absorbs the roadside vibrations and limits noise. Engineered with the original 3-Zone technology, it offers greater comfort as well as hassle-free handling under dry and wet conditions. The advanced and long lasting tread compound of Goodyear Excellence with low rolling resistance helps in better fuel efficiency.